To be the best at your sport of choice, it takes a lot of practice and patience. But there’s one thing that you may not have considered that can help you take your game to the next level—chiropractic care! Here are a few ways natural adjustments have helped athletes of all skill levels, from youth sports to the professional level. Quicker healing. Chiropractic adjustments work by aligning your spine to ensure the nervous system is functioning exactly as it was designed to. When this happens, it allows your body to heal itself without any interruptions. Reduced pain. Let’s face it—it’s hard to excel at a sport when you’re in pain. At our practice, we strive to uncover the root cause of your pain to correct it at its source instead of simply treating your symptom. Better balance. By aligning your spine and clearing out interferences that can affect your brain and body, nerves are able to flow freely. Improved flexibility. Many of our own patients have experienced this—with regular chiropractic care, you’re simply able to move better and easier! Natural and non-invasive. When you’re in athlete, you don’t want to be sidelined for too long. Instead of opting for drugs or surgery, many athletes have found that a series of adjustments work wonders for their injury—best of yet, it can help minimize future downtime should your injury return. 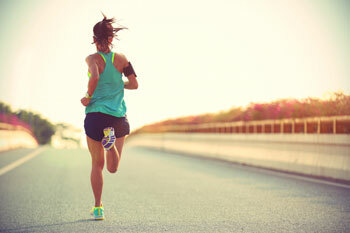 Are you an athlete who’d like to learn more about how chiropractic care can help you? We’d love to see you in our practice!